The role of CHS is to provide each student with a quality education to become a productive citizen. Our mission is to prepare students to be life-long learners and responsible, contributing citizens in a changing world. We have a number of clubs and organizations that allow students to connect with each other and develop beneficial skills. While many of our clubs and organizations are available for anyone to join, some may involve selection based on specific criteria. We offer a wide variety of individual and team sports for boys and girls during each season of the school year. Our Athletic Department values collaboration based on trust, integrity, listening, compassion, accountability, respect, and commitment. Our coaching staff is committed to promoting sportsmanship and teamsmanship at all levels. 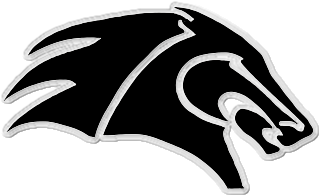 Campus is a member of the Kansas State High School Athletic Association (KSHSAA), and competes in Division I of the Ark Valley Chisholm Trail League (AVCTL). The role of CHS is to provide each student with a quality education to become a productive citizen. Students, please pursue your academics seriously and enjoy the many activities provided. It is both to your advantage and your responsibility to acquaint yourself with the information in the Campus High School Student Handbook. This handbook should be shared with your parents. We wish you the best this school year. Campus High School is committed to the philosophy that students should be in attendance every day. Students who attend school regularly are more successful, both academically and socially, than those with many absences. We believe that the major responsibility for regular school attendance belongs to the parent and student. We ask that you read the Attendance Policy information in the Student Handbook so that you will be aware of both district and state attendance requirements. Campus High School will follow a slightly modified schedule on the last day of each week for the purpose of allowing students to earn early release from school. Sophomore, Junior and Senior students who have all grades a C or better will be released from school at 2:04 on the last day of each week. In an effort to give students time to communicate with their guardian and arrange for transportation, students who have earned early release will be notified on the first day of each week. We have a new policy that you need to be aware of involving electronic equipment including cell phones. The use of such equipment will be allowed between classes and in the commons. Classroom teachers will govern the use of electronic equipment in their own classrooms. The use in classrooms may vary depending on the particular lesson and administering of tests. Above all we want to teach etiquette to our students regarding the use of electronic equipment. We want them to understand that there is a time and place for the use of such equipment. All of us have been annoyed at one time or another by cell phones or iPods during church, at a concert or in a restaurant. Inappropriate use of electronic equipment will result in a failure to comply referral. Please help us by talking with your student about this new policy – it is found on page 37 of the student planner. The Board of Education prohibits bullying in any form on school property, in a school vehicle or at a school-sponsored activity or event. The administration shall propose, and the board shall review and approve a plan to address bullying on school property, in a school vehicle or at a school-sponsored activity or event. The plan shall include provisions for the training and education of staff members and students and shall include appropriate community involvement as approved by the board. Students who have bullied others in violation of this policy may be subject to disciplinary action, up to and including suspension and expulsion. If appropriate, students who violate the bullying prohibition shall be reported to local law enforcement. Proper dress and grooming are necessary in order to have the best learning environment possible. Such dress and grooming is based on safety of the students, normal physical hygiene and no disruption in the classroom. It is recognized that the student and the parent are primarily responsible for proper dress and grooming. The school will become involved only as the responsibility is neglected. The goal is to maintain the best learning environment as possible and the rights of the students to dress and groom themselves as they please will be recognized, as long as doing so does not interfere in maintaining a learning situation. CHS Dress Code Policy reads: All clothing and adornments must be in good taste so as not to interfere with the learning process. Inappropriate clothing would be considered those items that are revealing, contain profanity or sexual connotations, or promote alcohol, drugs, tobacco, or violence. Kansas State Law requires shoes to be worn. Hats are not to be worn in the buildings. If a student is asked to change, a t-shirt will be provided by the office. Students should dress according to the weather as well. Also all buildings at Campus are air-conditioned therefore, classrooms will be cool. Thank you for your cooperation concerning your student's wearing apparel. School I.D. is required of anyone who wants the privilege of being on our grounds or in our buildings during school hours. The I.D. must be carried at all times on school grounds and must be produced quickly when requested. Anyone not carrying an I.D. shall be directed to the office where they will register as an official visitor or be asked to leave. Students are responsible for carrying I.D. cards at all times. The I.D. cards are needed for identification, signing in/out of school, for checking out materials in the library, for lunch ticket, and for admission to activities. Should a card be lost or destroyed, see the cashier for a replacement card. Upon withdrawal from Campus the I.D. card must be surrendered. 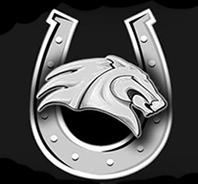 Log on to the PowerSchool Parent Portal: www.usd261.net/public/home.html?ID=Parent to view your child/children’s current grades, daily assignments and attendance records. You also have the ability to check on their lunch account balance and fees due. Don’t forget to also log on to www.usd261.com for a wealth of district news. 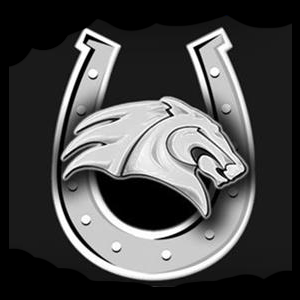 Campus High School and USD 261 utilizes an internet based notification system to contact our students‘ parents/guardians regarding school cancellations along with important dates and activities that are taking place at CHS. It is one of our main means of communication. Through School Messenger you will receive phone calls, emails, and with your permission, text messages. Please make sure that you keep your contact information up to date with our office. Do you share custody of your child? To have a copy of your child’s report cards and monthly newsletters sent to an alternate address, please notify the school office in writing. Just request that we add your name to our secondary mailing list. We are always looking for school volunteers. Please call the school if you are interested in becomng a teacher helper, tutor, field trip monitor, etc. We do have to run a background check on all school volunteers. Please see the application and guidelines below. When inclement weather causes the school to close, it will be announced between the hours of 6:00am and 8:00am on local radio and television stations. USD 261 will also use the internet based calling system "School Reach" to notify parents/ guardians. However, our system is only as good as the information that you have provided us. Please keep demographics up to date with the school office. All scheduled extracurricular and cocurricular school activities will be cancelled on days when school is closed. The mission of Campus High School is to prepare students to be life-long learners and responsible, contributing citizens in a changing world. The internal and external stakeholders of the individual school are the most qualified and capable people to plan and implement the changes necessary to fulfill the Learning for All mission.